I have followed Dorie Greenspan‘s recipe to the T. But i did add a tinge of pink food gel, just to give it a lovely color. These are Earl Grey Tea flavored cakes and taste so divine. The tea is steeped in melted butter, strained and this butter is used to give the flavor to the cakes. How cool is that? (maybe you all are familiar with flavored butters already but for me this was a major wow moment) Dorie says, these cakes are best eaten the day they are made but you can store them in airtight boxes if need be. I had them for 3 days and it didn’t spoil the taste or texture. On to the recipe then.. In the mixer bowl, put the sugar and lemon zest. 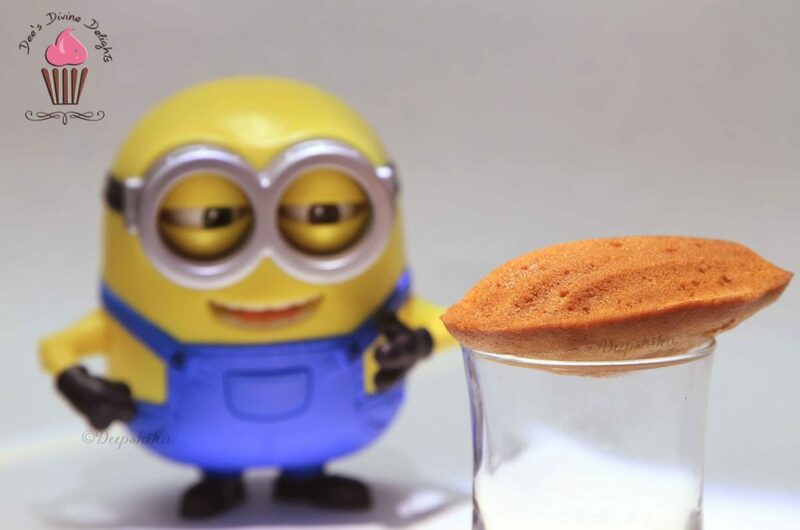 Rub the zest into the sugar with your fingertips until its fragnant- for about a min or 2. Add the eggs to this and using the whisk attachment of your stand mixer or a hand-held beater, beat the mixture for 2-3 mins, until its pale and thick. Add the Honey and Vanilla Extract and beat for 1 more min. Stop the mixer. Using a rubber spatula, fold in the dry ingredients into the mixture. When they are incorporated fully, add the melted-flavored butter and fold it in. This will take some time to get incorporated, but try to fold it in, in as few turns as possible. Press a piece of plastic wrap against the surface of the batter and refrigerate it for at least 3 hours or overnight. 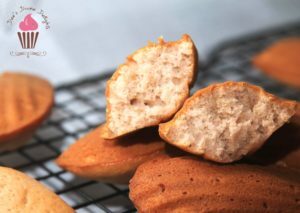 After the time period, take it out and spoon the batter into the prepared madeleine pans. You can even fill a piping bag and fill the pans for accuracy. 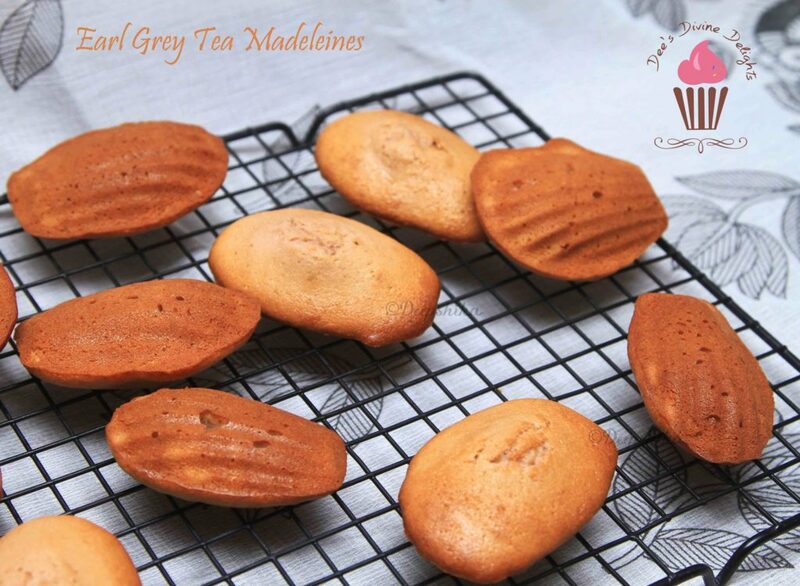 Bake for 12-14 mins in a pre-heated oven at 200*C or until the madeleines are golden and spring back when touched. 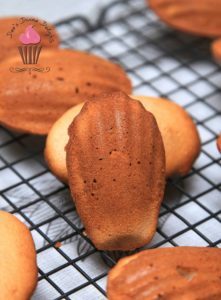 Remove the pan from the oven and tap the madeleines out gently onto a cooling rack. Enjoy while still warm with a hot cup of tea.